NineSquared was engaged by Epic Environmental to prepare an economic assessment for a Queensland mine as part of a federal environmental approval process. Epic Environmental is a specialist environmental consulting firm who assist clients with environmental strategies and approvals in a range of sectors including resources. As part of a major project’s environmental approval process, the State and/or Federal Government is required to assess the social and economic impacts of the development of the project. Accordingly, NineSquared’s economic report covered the broad benefits and adverse impacts to the community associated with the proposed action, and provided a detailed economic assessment of the project. This assessment included the expected contribution to overall revenue generated to the economy, and the number of full-time equivalent (FTE) positions created by the project. NineSquared’s assessment showed that the development of the project in the nominated region will have a range of positive benefits as well as social costs. Some of the potential adverse impacts include increased burden on the health and education systems arising from increases in local population, as well as housing availability and commercial business and property. However, consultation with the local community indicated that through appropriate mitigation measures then overall the benefits of development will outweigh the potential costs. Social benefits included increased jobs both in mining, related industries and in the community as a whole, and increased expenditure on services in the community (such as retail, food and beverages, entertainment). Tom Frost – Tom is an economist who has been consulting to industry and government for over 20 years. He has extensive experience in the provision of regulatory and economic advice to clients. 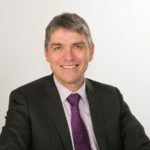 He has provided advice to clients across Australia and internationally regarding investment in transport infrastructure.